Tennis icon Roger Federer has surprised the sport by bringing an end to his clothing deal with Nike, which the Swiss had first signed back in 1994. That’s because the 36-year-old has agreed a new ten-year apparel deal with Japanese clothing firm, Uniqlo, which is reportedly worth $300m. Although Federer will continue to wear Nike trainers on court and Nike will also retain ownership of Federer’s monogrammed RF clothing line, the Swiss is in line to more the double his current paycheque from on-court earnings. According to ESPN, Federer’s career earnings based on tournament prize money amount to $116m, so this deal with Uniqlo will certainly help him rise up the rankings of top-earning professional athletes. Federer appeared on Centre Court for his first-round clash with Dusan Lajovic at this summer’s Wimbledon Championships sporting a Uniqlo headband, jacket, shirt and socks, whilst still wearing his trademark Nike trainers. When pressed for comment on Federer’s new deal with Uniqlo, Nike officials could not be reached. Federer’s previous apparel deal with Nike was said to have been worth around $10m a year, so this new contract marks a three-fold annual increase in sponsorship earnings. In fact, it is believed that this deal is the most valuable sports sponsorship deal on the planet today. Although Federer is in the twilight of his tennis career, his ten-year clothing contract will take him well beyond the end of his retirement from the sport. 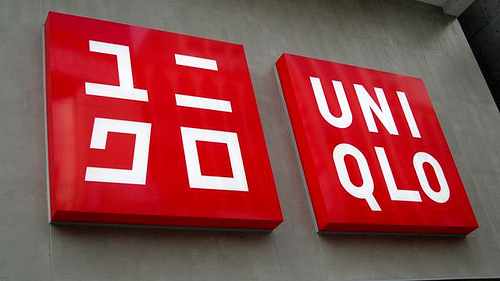 Uniqlo hopes his association with the brand will help the Japanese brand to reach out to a middle-aged demographic with their unique, colourful clothing range. It’s not the first time Uniqlo has secured an apparel deal with a tennis star, with Serbian, Novak Djokovic previously playing in Uniqlo-branded outfits. Federer was asked about his Nike-owned RF clothing line at Wimbledon and the Swiss confirmed that “it will come to [him] at some point”. “I hope rather sooner than later, that Nike can be nice and helpful in the process to bring it over to me. 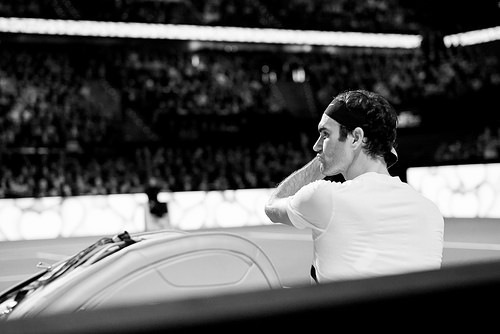 It’s also something that was very important for me, for the fans really,” said Federer. On court, Federer looked to be at his imperious best in the opening rounds of Wimbledon, reaching the quarter-final stage without even dropping a set. That looked like being the case again in the last eight against the big-serving South African, Kevin Anderson, after taking the first two sets. However, Anderson demonstrated his mental strength by delivering one of the most surprising turnarounds in recent memory, eventually winning a gripping five-set thriller 13-11 in the deciding set. Federer has taken stock after his shock exit from Wimbledon and opted to withdraw his entry to Toronto’s Rogers Cup as part of his ongoing strategy to conserve his energy and put himself in top condition to compete for the headline events on the tour. There is one remaining Grand Slam this season, with the US Open very much on Federer’s radar once more. It’s been ten years since the Swiss last won at Flushing Meadows. At the time of writing, Federer is 7/2 with William Hill to prevail once again in New York and claim his 21st Grand Slam title. Time will certainly tell just how long Federer remains in tennis. He has a large, loving family to attend to and a body to protect. His knee problems that plagued him in 2016 will still be in the back of his mind. Furthermore, after so many years at the pinnacle of the sport, Federer will want to go out on a high.